The Volkswagen Scirocco is a sport compact range whose first two generations were produced between the years 1974-1992, while the third generation was launched in 2008 until 2017. Based on the same platform as the Volkswagen Golf, the Scirocco models attractive, sporty styling is similar to that of the other vehicles, appealing to a wide range of buyers. The range contains excellent space with plenty of legroom for the driver and passengers, offering practicality and comfortability thanks to quality materials fitted in the interior. 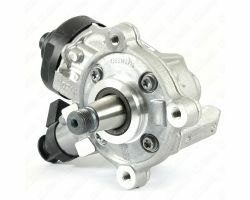 Available with an array of petrol and diesel engines, all offer their own different power outputs. A favourite engine choice is the 2.0 litre TDI diesel motor, this lively engine delivers agility, responsive handling and an efficient performance. In all, the Volkswagen Scirocco is a powerful and upmarket range, that is affordable and reliable.